Eleven men have been arrested in a major operation into the criminal activities of the Ulster Volunteer Force (UVF) in east Belfast. The Paramilitary Crime Task Force made the arrests during raids of 14 properties in the greater Belfast, Ards and Comber areas. The men, aged between 22 and 48, are in police custody. 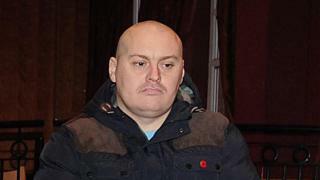 The PSNI has linked the operation with the murder of Ian Ogle in east Belfast. Mr Ogle, 45, died after he was stabbed and beaten in a street near his home on January 27. The PSNI said tackling the UVF was a priority for the force because of its drug activities, particularly the supply of Class A drugs. They have confirmed that suspected Class A drugs valued at £15,000, "high value" vehicles and jewellery and a significant sum of cash were also seized in the raids, which began on Friday morning. These searches around greater Belfast have been in the pipeline for months. It's a pretty significant operation and I've been out with the team since early this morning. We attended a house raid in east Belfast at 07:00 GMT. A team of officers broke the door down and arrested one man inside. Det Supt Bobby Singleton said the UVF were "nothing more than a drugs gang" and that the police had a good case against those who had been arrested. "These gangs aren't there to help the area they're in - they're there to exploit and make money off the community," he said. "This investigation has been ongoing for some time and today's action will likely lead to further action by the Paramilitary Crime Task Force." The UVF is a loyalist paramilitary group which was responsible for hundreds of murders during the Troubles in Northern Ireland. In some cases its members continue to be heavily involved in violence and crime.